On behalf of admin of JML Law, A Professional Law Corporation posted in Truck Accident on Wednesday, May 09 2018. If you have been in a truck collision in California, chances are that you have been seriously injured. Most big rig accidents are severe, and they result in long-term injuries that may have effects on you and your loved ones for years to come. These losses are expensive—often much more so than you realize just after your accident. However, you can take steps to maximize the value of your case, one of which is to contact an experienced Long Beach truck accident attorney as soon as you can after your accident. 1. Get medical attention right away. You should always get medical help after an accident, even if you think the crash was relatively minor. You could have serious internal injuries that only a medical professional can detect. Seeking medical help is not only good for your health, but it can also be good for your case too. The longer you wait to see a doctor, the more it looks like your injuries are not that serious. An insurance company may even try to argue that your injuries were not caused by the accident, but some other event that occurred between the time of the crash and when you visited the doctor. 2. Always follow up as ordered by the doctor. Your doctor may have suggestions for treatment after your injury. In serious cases, this may include surgery. In less severe situations, it may consist of things like physical therapy and home stretching routines. Regardless of what your doctor recommends, you should follow the doctor’s instructions, including taking any medications as prescribed. If you miss appointments or simply decline to do your follow-up care, an insurance company may look at that evidence and argue that you are not hurt that badly. The argument goes that if you were seriously injured, you would have attended follow up appointments and sought treatment. 3. Be honest, forthcoming, and straightforward with your doctors. Tell your doctor every symptom you are experiencing after your accident. Medical documents, including your doctor’s notes, will be critical to your truck accident case. Having a complete record of every symptom will be very helpful—a jury or an insurance company may not believe you if you complain about something that is not included in the doctor’s notes. This is not the time to be too proud to talk about your symptoms! 4. Do not talk to the insurance company. Because of the serious nature of truck accidents, insurance companies are often eager to settle these cases. That means that they will reach out to you virtually immediately after the crash to offer you a minimal settlement amount. They will also want to take a recorded statement from you so you can tell them about your version of the accident. However, you don’t have to provide this statement, and it is often a good idea to wait until your attorney is available to help. 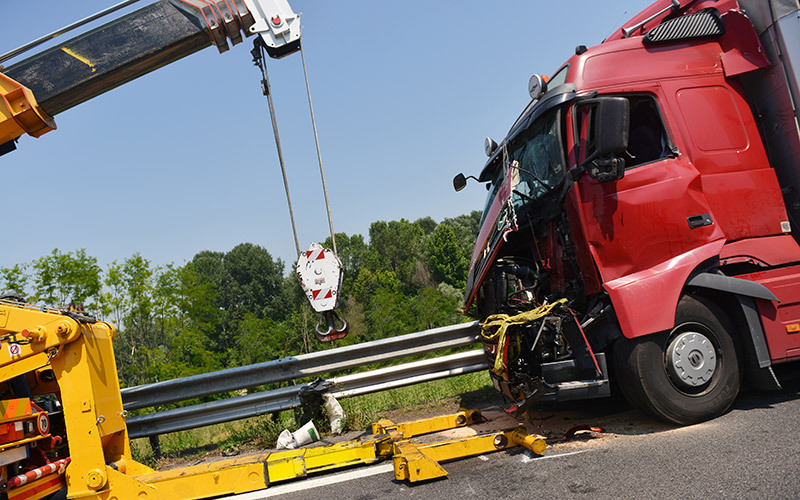 If you or a loved has been through a truck accident, you need an attorney. JML Law has the experience you need to deal with these severe and often-complicated cases. Call our team of Long Beach truck accident attorneys today at 818-610-8800 to schedule a free consultation.